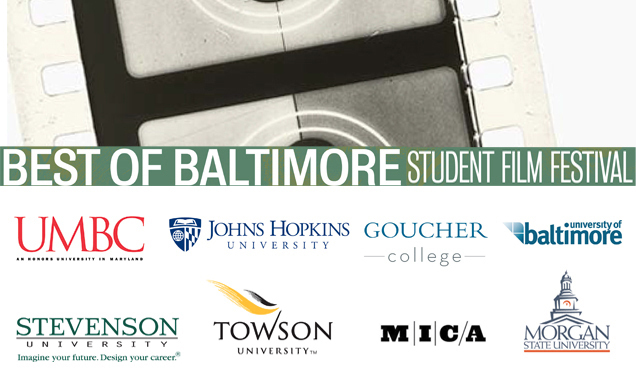 Back by popular demand, come see a selection of the best student films from Goucher, JHU, MICA, Morgan, Towson, Stevenson, University of Baltimore, and UMBC. Each college showcases two films. Don’t miss seeing work by filmmakers who will soon be nationally and internationally recognized. ADMISSION: ADV: $10, $7 mbrs. DOOR: $12, $9 mbrs. Proudly supported by the Maryland Film Office.